This month’s Eat Well, Spend Less topic is summer produce! 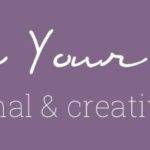 From making the most of a CSA share to preserving your harvest, we’re covering a variety of topics. I thought about preparing my garden for most of the spring and early summer, but in the end we decided it was just “one more thing” on the to-do list, and we decided not to do one this year since we’ve been on the go so much. But next year, the veggie I’m most looking forward to other than my beloved tomatoes? Zucchini. Yum. 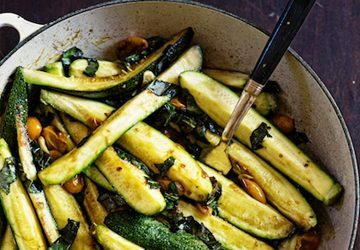 From savory side dishes and appetizers to sweet breads and desserts, zucchini is one of the most versatile veggies out there. 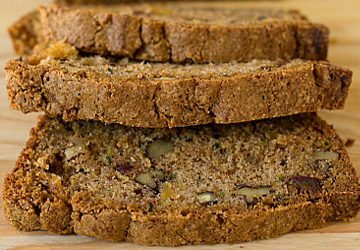 It’s mild flavor makes it a perfect palette for a variety of flavors. And as anyone with a zucchini plant can confirm, they produce a bountiful harvest that could keep a small family well fed all by itself! 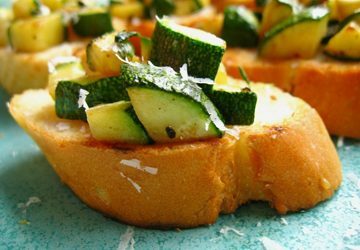 This summer, I’m making do with store-bought zucchini, but here are some of the recipes on my must-try list. On today’s menu? 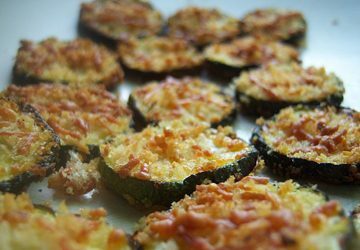 Zucchini parmesan crisps to go with our shrimp alfredo! 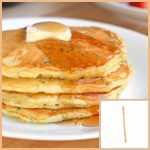 Pancakes are one of my favorite comfort foods, and I love the idea of adding a little zucchini to the batter to make our favorite breakfast a little healthier! 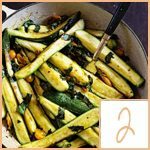 Sauteed zucchini is one of my favorites, and this braised zucchini dish (is braising the same as sauteeing?) 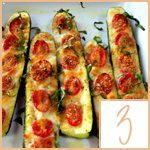 combines zucchini with cherry tomatoes, garlic and basil, some of my other favorite flavors, for the perfect summer side dish! 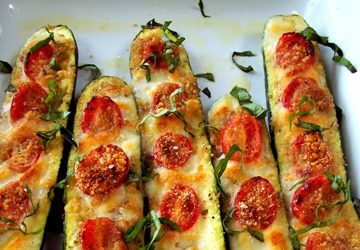 Or put the tomatoes and garlic right on top of the zucchini — and top it all with cheese — with these tasty zucchini boats, which look a lot more elegant than their name would suggest! 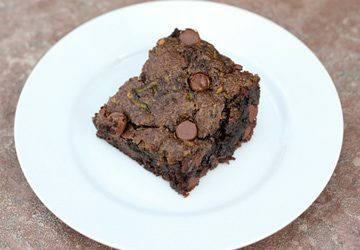 Although I’ve had zucchini bread many times, I’ve never had zucchini brownies, but what better way to eat your veggies than with a healthy helping of chocolate?! 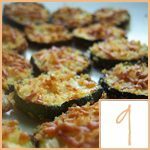 These baked zucchini sticks would make a great appetizer or snack. 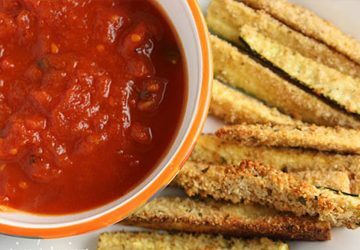 Breaded with whole wheat bread crumbs and grated cheese and dipped in marinara sauce, I bet these are a tasty low-calorie alternative to traditional mozzarella sticks! 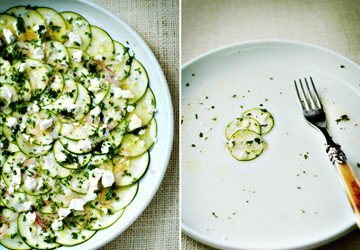 If, like my mom, you’re not a fan of cooked zucchini, this recipe is for you. 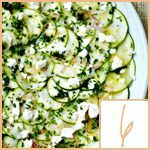 This gorgeous — and crunchy — side dish combines thin slices of zucchini with red onions and feta cheese! 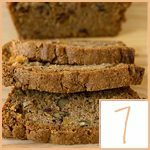 I think any zucchini bread is a winner, but the thought of this zucchini pineapple bread makes my mouth water, especially with the addition of chopped dates and walnuts. I’m thinking they’d make yummy muffins as well! 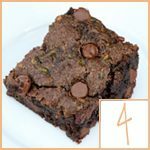 I have to admit I almost skipped over this recipe when I spotted it on Pinterest, but now I can’t wait to try it. 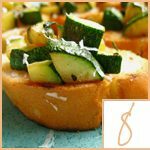 This easy bruschetta is made with just a few ingredients and can be made ahead of time and served at room temperature. That’s my kind of recipe! Okay, so these are a lot like the baked zucchini sticks in #5 — just a different shape — but I couldn’t bring myself to leave them off the list…especially when I read the description and learned that these really do crisp up (hence the name “crisps”). 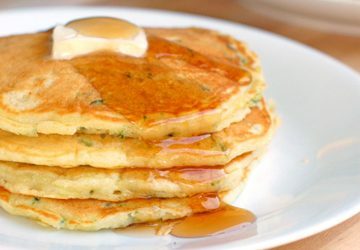 If there’s one thing I love, it’s crispy food, and I can’t wait to give these a try!